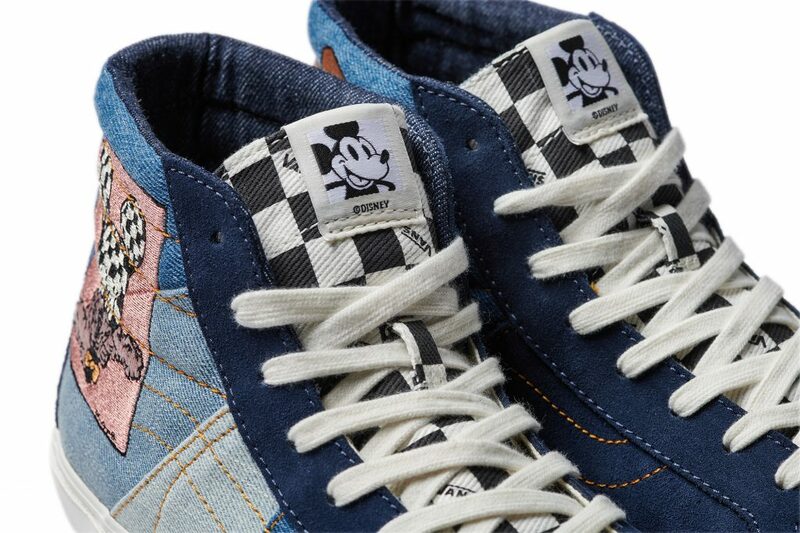 In a unique, well-rounded collection, each of the artist’s custom Mickey Mouse rendition is featured on Vans’ iconic silhouette, the OG Sk8-Hi LX, as well as a short-sleeved tee to present a well-rounded offering. With a mutual passion for California culture, renowned illustrator and graphic designer, John Van Hamersveld is continuously recognized for his influential graphics and images that are quintessential markers of Southern California culture. Best known for his psychedelic patterns and vibrant color schemes, he is a pioneer in the worlds of art, music, and surf—blending these genres perfectly into his extensive repertoire. For this collection, Van Hamersveld produces bright, punchy graphics featuring the one and only Mickey Mouse. Legendary tattoo artist Mark Machado, more famously known as Mister Cartoon, is a Mexican-American artist born and raised in Los Angeles, California. Mister Cartoon is recognized and sought after for his richly detailed hand-rendered style of fine line tattooing—a technique that uses diluted black ink to create shadows and depth. What sets his work apart is the textural intricacy and stunning details of his three-dimensional- appearing works. His contribution to the collection depicts a black and grey illustration of the iconic “True Original” mouse driving a vintage car. 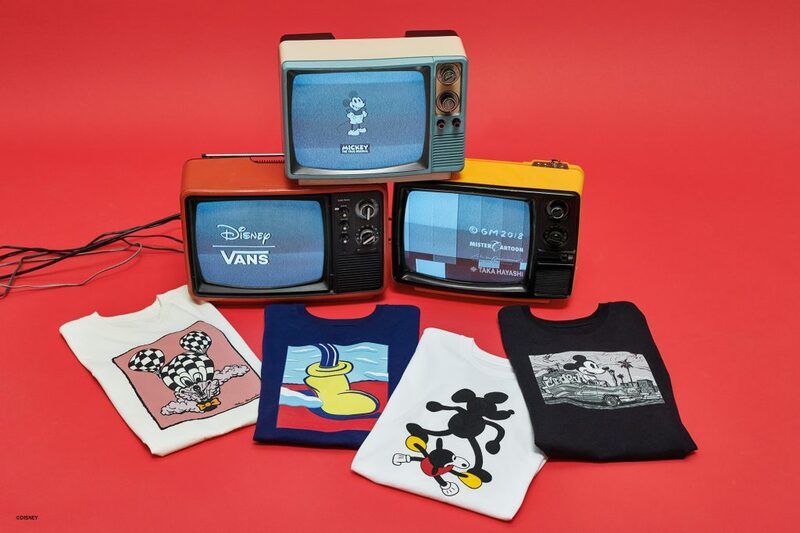 To bring a minimalistic and surreal illustrative style to the collection, Vault by Vans and Disney worked with Geoff McFetridge, Canadian designer, illustrator, and animator based in Los Angeles. McFetridge’s work intuitively ignores creative boundaries and spans a broad range of art media. 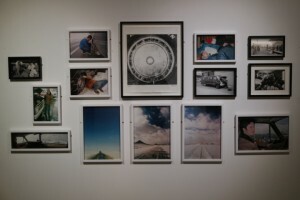 The versatility and simplicity in his work is balanced by the use of elegant line drawings and paintings. His design captures Mickey Mouse in a unique pattern, highlighting his iconic colours – black, red and yellow. 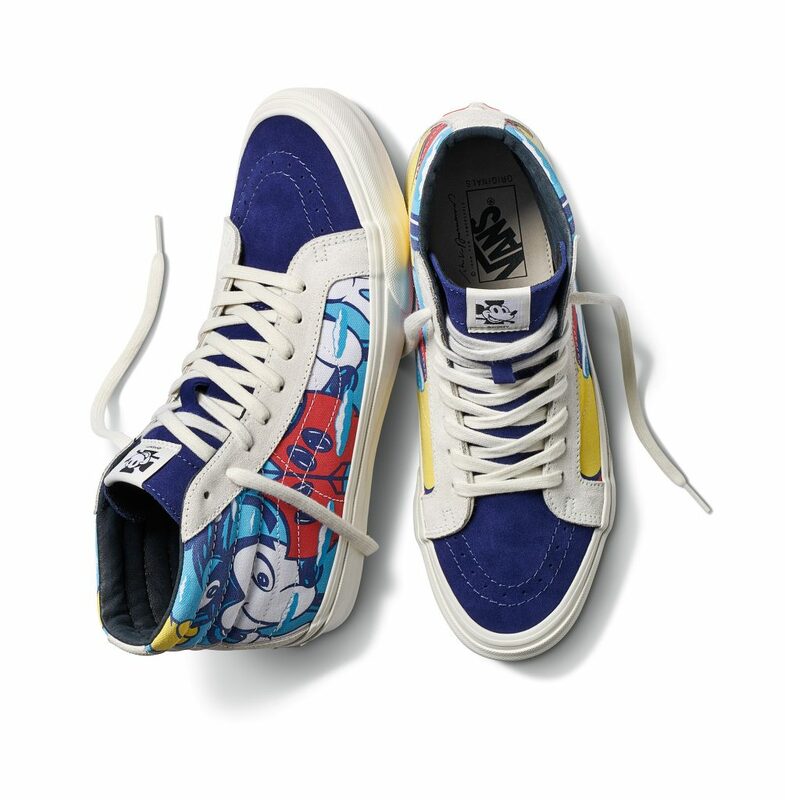 Vault by Vans mainstay, Taka Hayashi, completes the collection with his commitment to detailed craftsmanship and unique design approach. Hayashi’s design features an unexpected hit of pink, conveying a Mickey Mouse inspired hot air balloon. 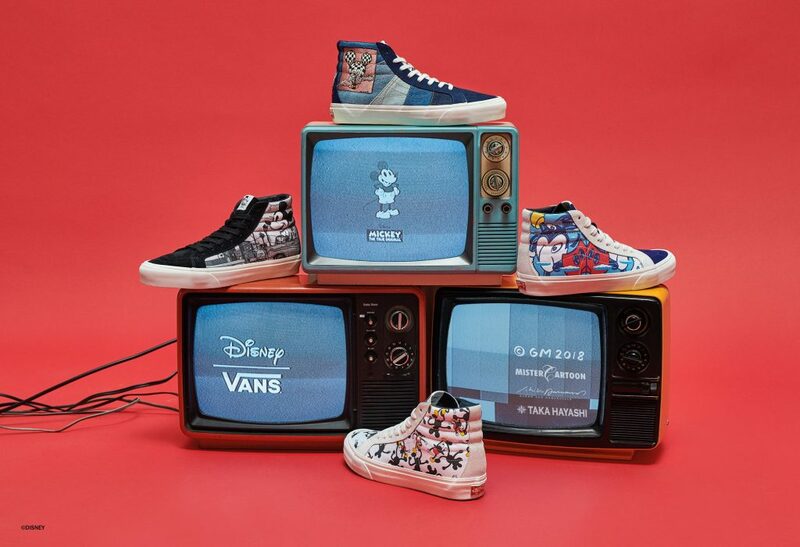 The Disney x Vans collaboration launches globally on August 25, 2018, at select Vault by Vans accounts. 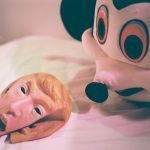 This entry was posted in FASHION and tagged 90 years of Mickey Mouse, Geoff McFetridge, John Van Hamersveld, MICKEY mOUSE, Mister Cartoon, Taka Hayashi, vans, Vault by Vans. Bookmark the permalink. 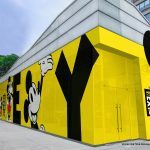 Immersive, pop-up art exhibition announced for Mickey Mouse’s 90th anniversary. 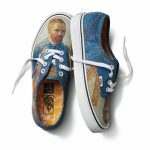 Vans and the Van Gogh Museum collaborate on collection.